Garage Door Repair Shelby Twp. Taylor Door Co. is your trusted and respected place for everything doors in Metro Detroit, Michigan. From new garage doors to garage door repair in Shelby Twp., we are here to help. We offer same day service when contacted before 11 a.m. Our family owned and operated business brings more than 30 years of experience to every job site. We make it easy to repair damaged garage doors to working condition in a timely manner. Our team will always stand behind our garage door repairs Shelby Twp. 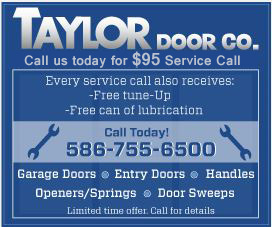 With Taylor Door Co. you will never pay more than $300 for your garage door repair in Shelby Twp. As a member of the International Door Association, we are licensed and insured to fix your garage door. 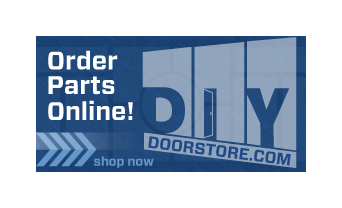 Our garage door repair parts come with a minimum one year warranty and some can be purchased with lifetime warranties and three year labor warranties. Call Taylor Door for Your Garage Door Repair Shelby Twp. Garage door repairs Shelby Twp. from Taylor Door Co. are among the most efficient and durable repairs that will make your garage door operate like new. For more information about garage door repair Shelby Twp., contact us today, call 1-800-NEW-DOOR.